Welcome to the Grand Rapids Cuban Salsa Community! Take a look at the About page to find out who we are, what we do, and why we do it! Drop us a line on the Contact page and be sure to check out a class on the Schedule. Announcing NEW classes at Social Dance Studio! Join Kate and Rusmel for a combined Casino and Rueda de Casino class every Monday at 7pm at the beautiful new Social Dance Studio off Alpine Ave. Classes are $15 drop-in, or pay in advance for the full month at $10 per class. NEW weekly classes at Danzón Cubano on Thursdays! Join us for weekly lessons focused on both Casino and Rueda de Casino. 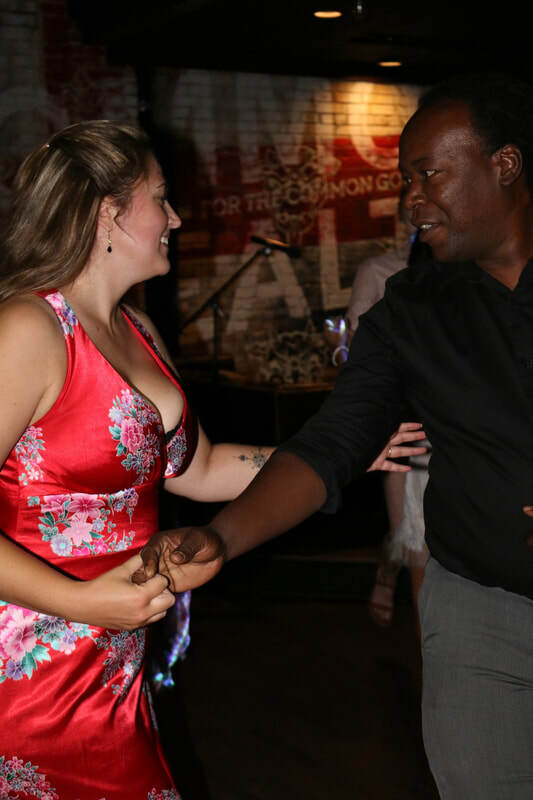 We will offer basic and intermediate instruction in both of these styles of social dancing. No partner necessary. Weekly drink and appetizer specials will be offered until 10pm. Join the GR Cuban dance community on Facebook!